Shrimpy is too scared to play with his friends. He is worried he will get lost in hide-and-seek, worried the ball will squash him during a game of catch or that his legs will get tangled during hopscotch. His friends encourage him to join in but nothing will convince him. Until one day something does happen. This story identifies the anxieties many young children have. As young children begin to step into the world by themselves, at playgroup or kindergarten, the possibilities of things that can go wrong are endless. The courage it takes for most of them to become involved in social groups is enormous. And this is all explored in a light and humorous way. The illustrations are bright and playful. I love that some pictures are close up and some further away, encompassing more. Shrimpy’s loneliness and isolation is emphasised so well in this manner. This is a tale told well. It has a nice structure, with a repeated refrain. 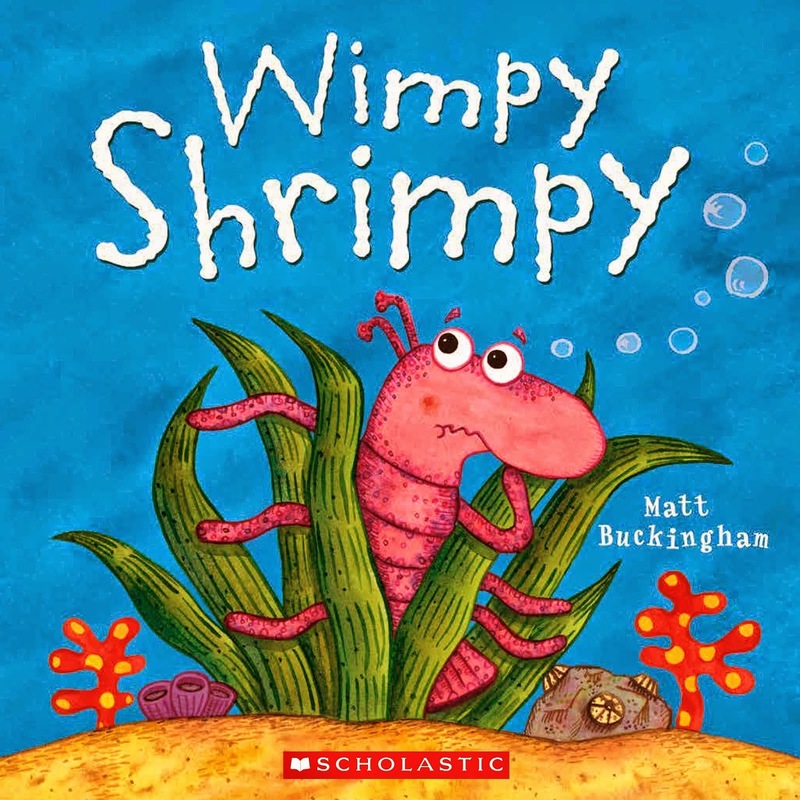 Kids will enjoy chanting “Oh, don’t be wimpy, Shrimpy!” over and over again. And when the worst that can happen does, it is unexpected, but perfectly logical. The story has a satisfying solution which should be a confidence booster for any young children with similar fears to Shrimpy’s. A great read for three to six year olds.